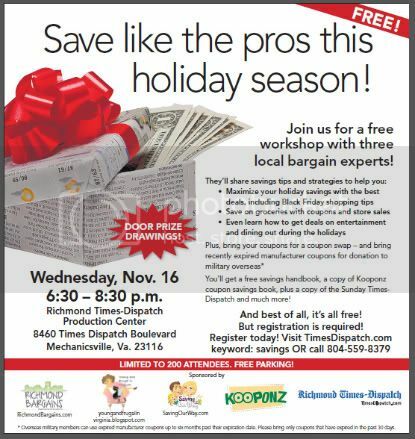 You are cordially invited to join Eleanor, Tiffany, and me for a holiday savings workshop on November 16 from 6:30-8:30pm, sponsored by Kooponz/Richmond Times-Dispatch. 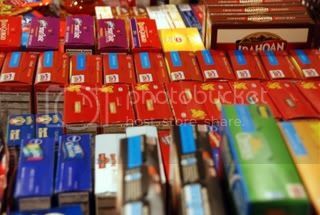 It’s really going to be a coupon extravaganza covering a number of topics: Black Friday and holiday shopping, basic grocery couponing and sales, and saving on other areas like entertainment and eating out. At the end, there will also be a coupon swap, and we’ll be collecting recently expired coupons to send to military families. Attendees will receive a Kooponz coupon book, copy of Sunday Times-Dispatch, and be eligible for giveaways. 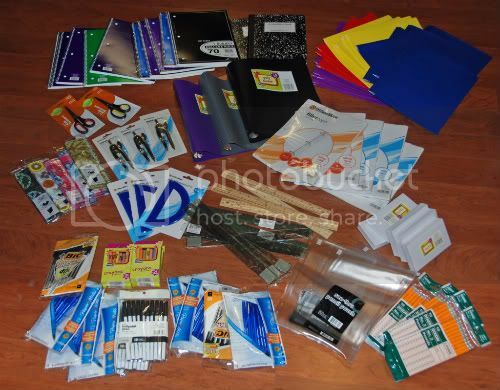 School Supply Challenge Is Back and You’re Invited! 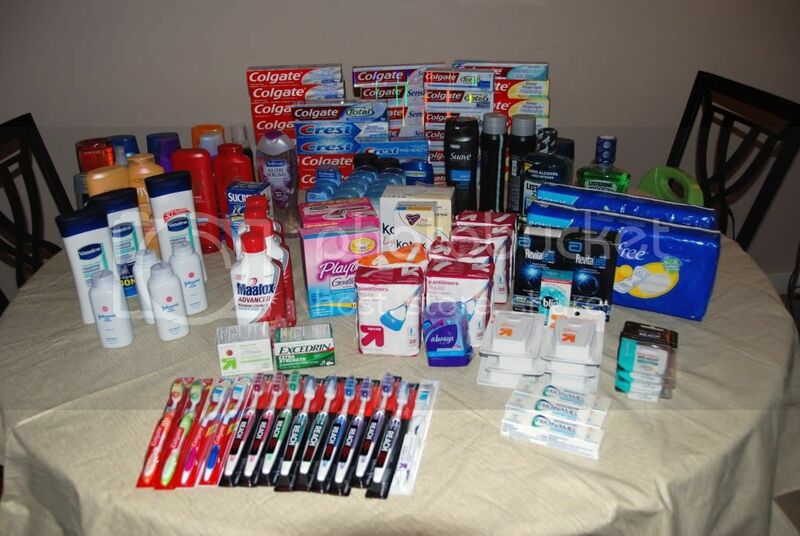 If you’ve been reading this blog for a while, you might remember the Frugal Blogger Challenges I’ve posted about, in which some other bloggers and myself tried to collect as many school supplies, food items, and toiletry items to donate to charity with just a $10 budget each time. Exciting news: The school supply challenge is back, and this year we’re asking YOU to participate too! Are you up for the challenge? Local deal bloggers are partnering with Kroger this month to encourage readers to collect as many supplies as possible with only $10 out-of-pocket cost. 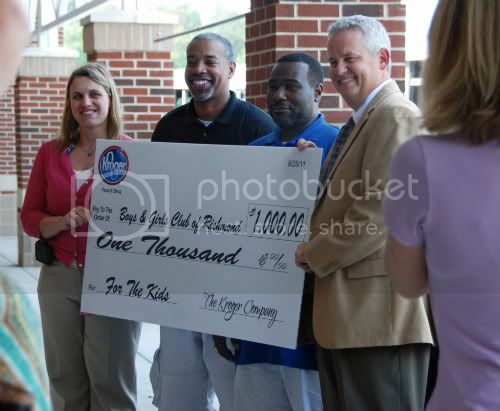 The donations will benefit a great local cause: The Boys & Girls Club of Greater Richmond. Kroger will also match donations up to $1000. The challenge starts TODAY, so get shopping! You can find all the details and rules on RVA Coupon Pros Facebook page. Last year, the four of us collected over $500 worth! As the winner (by a very narrow margin), my advice is to hit the sales hard early and use as much of your budget as possible so you aren’t scrambling to spend it in the end. The discounts are often better well before school starts. For more of my thoughts, check out my post about last year’s results. The Richmond frugal bloggers were at it again last month, this time collecting toiletries on a $10 budget to donate to Safe Harbor. In this round, my competition was Angie, Eleanor, Kim, Stephanie, and Tiffany. Kim won (again!) breaking the $100 mark with $106.52 worth of items for $10.32 spent! Altogether, we collected $468.81 worth and spent $59.13. The deal bloggers of Richmond strike again, this time collecting donations for the Food Bank on $10 budgets. 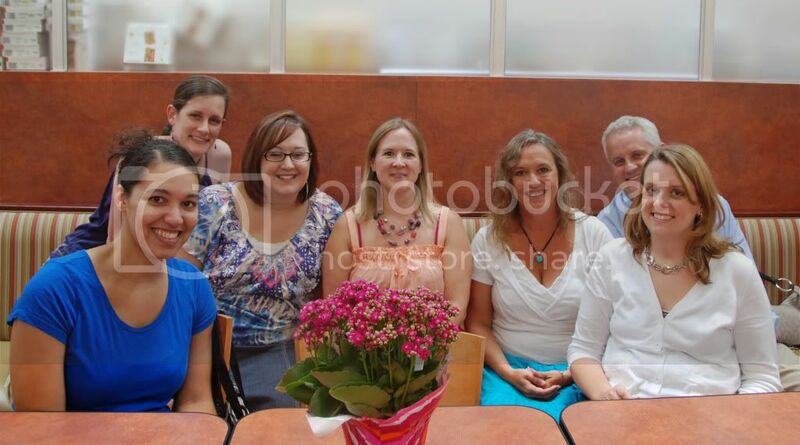 In this round, there were five of us storming the stores: Eleanor at Saving Our Way, Tiffany at Young and Frugal in Virginia, Stephanie at Coupon Clippin Mommy, Kim at Day by Day Savings, and myself. I’ll tell you straight off, I did not bring my A-game to this challenge. Maybe a solid B. I’m not really sure what happened, but I didn’t budget my time and money properly. So when I went to tally up my totals at the end of the challenge period, I discovered I had only spent $5.22. The superstar winner of this challenge round was the new competitor, Kim from Day by Day Savings. She clocked in with $115.75 worth of groceries. And altogether, the five of us collected $377.78 worth of food with $48.16 in spending. We all agreed the food drive was more challenging than the school supply one in August and September, plus November was just a busier time for everyone. Oodles of soup (50+ cans! ), boxed potatoes, cereal, and condensed milk. 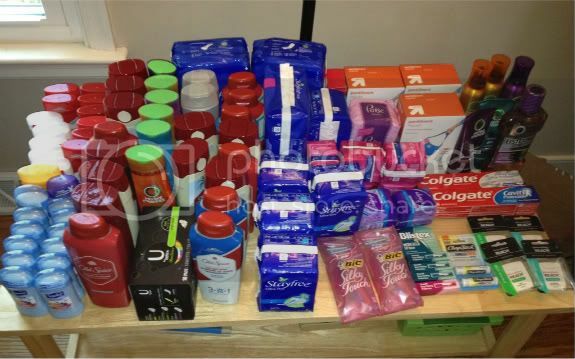 The bulk of items came from Kroger sales, with a little Target, MARTIN’S, and CVS thrown in. 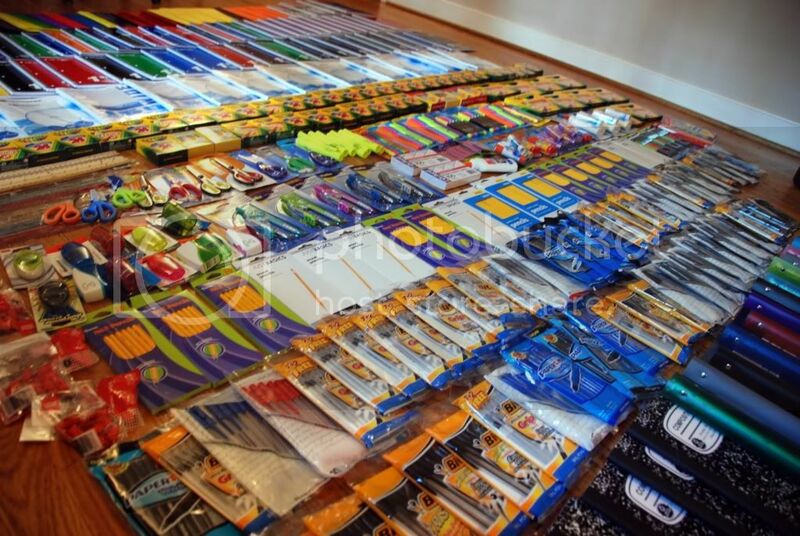 How many school supplies can $10 buy? Some Richmond money-saving bloggers, myself included, are in the process of finding out! For the past four weeks, we’ve been scouring the back-to-school deals around town. 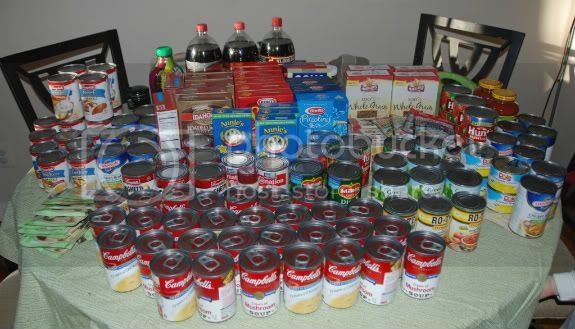 Armed with only a $10 budget (including tax), our challenge was to shop the sales to collect as many supplies as possible. 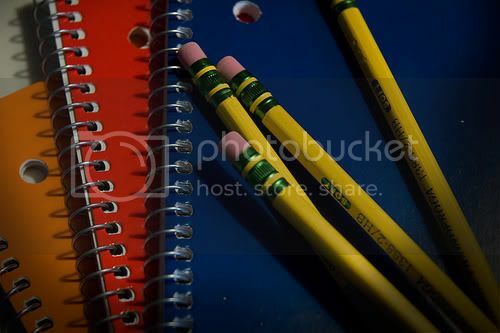 We’ll be working with RichmondMom.com/HandsOn Greater Richmond’s “Back-to-School Splash” to donate the fruit of our labor to the Fulton Hill Neighborhood Resource Center. We’ll be gathering next Thursday night to find out whose deal-hunting reigns supreme, so check back Friday the 20th for the results and photos! Consider taking advantage of all the great deals going on this month to pick up a few supplies to donate to a number of causes collecting them in Richmond – In addition to the Back to School Splash, Crossover Ministries needs your help, or get a free mini-sundae from Arby’s when you donate supplies to Stuff the Bus this Saturday or the next.